The Rangers announced their intention to move Michael Young to 3rd base for the 2009 season to make room for Elvis Andrus, their rookie prospect shortstop. This, of course, threw Michael Young into a tizzy like an Emotionally Stunted Sandinista. *stomps foot* I didn’t tell them to censor all the comics, just Doonesbury! How dare the Rangers move Young’s 12 home runs to 3rd base where he would become even more fantasy irrelevant? When Michael Young first heard of the Rangers plans, he was livid, saying, “What are my houseguests going to think now of my towels that are monogrammed with SS? That I’m a Nazi?” It’s surprising to see any reluctance from Young. He was only the same guy who played through a fractured finger last season in his quest for an inconsequential 200 hits. What’s really getting lost in all of this about Elvis Andrus replacing Young and Young moving to 3rd base? What’s going to happen to Travis Metcalf?! Okay, maybe that wasn’t lost. Maybe that was sidestepped and picked up with a plastic bag. So is Elvis Andrus a 2009 fantasy baseball sleeper? There hasn’t been an Elvis so full of speed since The King passed away 30+ years ago. Andrus just needs the playing time. In Double A, Andrus stole 54 bases in 118 games. So, B-I-N-G-O, he’s fantasy relevant, because, as we know, SAGNOF. But will he get playing time? Well, Young’s agreed to drag his woobie over to third. Unfortunately, Andrus is not the strongest defensive shortstop, which normally would be ignored by us fantasy baseball ‘perts, but if he can’t field in spring training, he’s not making the club. Last year, he had 32 errors in 109 games. This is, how do you say? Not good. I think this might hold him back. I doubt Andrus makes the club out of spring training, so I would ignore him unless you’re in a very deep league or a keeper. But if things break differently in the spring and if the Texas daily newspapers are printing groaners like, “Elvis Has Entered the Building,” and “Rangers Infield is All Shook Up,” then Elvis Andrus will absolutely be worth a draft pick, even in shallow leagues. Cheap steals from a late MI flier are exactly what you want. I smell Eugenio Velez here. @IowaCubs: You smell Joey Gathright trying to play shortstop. Apparently he’s got the tools to be a great defensive shortstop, just needs some time. If I was the rangers, I’d leave him in the minors for another year. I still think they’re going to win that division, once they sign Ben Sheets. @youngid: He has good range, but his arm’s unpredictable. As I said above, I doubt he makes the club out of the spring. @Grey: So… 20 steals guy who bats 9th? I can dig it. @IowaCubs: I’d say potentially 35 steals. If Andrus turns into the fat Elvis, will he change his name to Elvis Andruw Jones? @BigFatHippo: What’s so terribly ironic about that is that both players were on the Braves at the same time (albeit one was in the majors and the other the minors). I bet we all know which one the Braves would rather take back and pay the minimum to, and it’s not Mr. My-Lack-of-Conditioning-Will-Cost-Me-the-Hall-of-Fame. @JR: @sean: Thanks, glad you enjoyed! @BigFatHippo: @drizzle21: I forget when I said it exactly, but I think I was the first one to say Andruw Jones will not make the Hall of Fame because of his laissez faire attitude. @Grey: Not related to Elvis (although I love the 68 Comeback Special), but did you see where there’s talk Napoli could be DH-ing a lot in 09? Thoughts? @Steve: I think that’s good for his value. Will mean that he’ll play more games/get more at-bats. I wouldn’t move him up on the catcher list yet, but it’s potentially good news. It’s not going to stop him from hitting around .245 though. 35 steals… That’s a fine, solid number… Happy Birthday, Grey! I did spit my coffee. Great post — first time visitor, but I’ll be back. 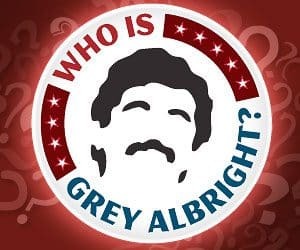 @Grey: Happy B-day buddy, you didn’t let us know. We would have baked a cake, doubt it………..
Woobie? Oye, was that a Mr Mom reference? I think I would have felt better about myself not getting it. Wow working on the Elvis Andrus post in on your birthday. Clearly he’s a special guy to you. Having seen him play exactly 0 times, but having a keyboard in front of me I think I’m qualified to make a prediction on Andrus. I think he goes off and straight up Steve Youngs Michael Young out of town. @Cecilia: How old is he really, 84? Is he having broth for dinner? happy birthday to the mustachioed guy !! free entry into the 2nd razzball slow mock draft . get high . get drunk . get home safely . Thanks for all the birthday wishes. Ya’ll is sweet.